By Peter Anderson 11 Comments - The content of this website often contains affiliate links and I may be compensated if you buy through those links (at no cost to you!). Learn more about how we make money. Last edited July 7, 2017 . 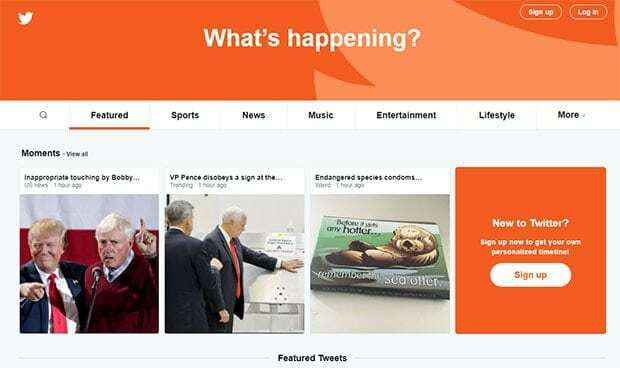 Years and years ago I discovered a great new website called Twitter.com. For those of you who haven't used the site or are thinking about using it, I like to refer to it as sort of a delayed instant messaging platform where you can network with other bloggers, promote your site, build traffic and bring your ideas to a whole new set of people that might not have found you otherwise. I have heard of Twitter being referred to as mini-blogging on some sites. The posts on Twitter can be a maximum of 140 characters, and as such you have to be concise and to the point. It's a great place to just post about what you're doing during the day, write a quick opinion on a certain topic, or just promote your own blog with a quick description and link. To get started you just need to go to http://www.twitter.com, sign up and start “following” people (In other words, setup the people/sites you want to get updates from). What I did when I first signed up was find a couple of bloggers who were in my niche, and then I found out who they were “following”. A lot of the people they were following were personal finance and business related, so I started following them as well. Once you start adding people as contacts, often they'll start following you in return. So a great way to get a bunch of subscribers right off the bat is simply to follow a bunch of people you are interested in, and often they'll reciprocate. To get started adding contacts, just start following Bible Money Matters at twitter! get on Twitter because it’s a pretty hot spot at the moment when it comes on online activity and I think the potential to drive a lot of traffic from there is still only just being realized. It’s a space that is still in it’s early days of development so get in early (even though it’s been a year or two since it launched) and position yourself for the future. I've been using Twitter for quite a few years now, and it is one of my top 10 sources for traffic on this site. So what are a few of the things you can do with twitter? 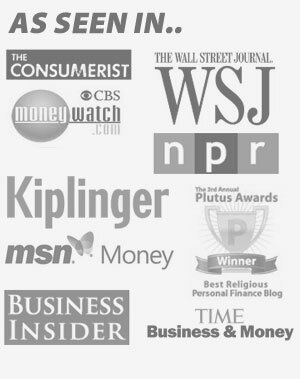 Promote your blog: I use a tool to put a post on twitter every time I publish to Bible Money Matters. Usually the tools will take the site's RSS feed, grabs the post title and the link to my page, and then it then puts a quick post on Twitter announcing my new blog post. Once you get a number of people following you on Twitter, it can lead to a large number of referrals and traffic to your blog every time you post. Network with other bloggers: Twitter has been a great way for me to network with other personal finance bloggers. It allows you to be more personal with other bloggers, to get their input on your site and to build relationships. One blogger that I networked with on Twitter has been extremely helpful to me, posting on my blog while I was gone due to my wife's illness. Others have given me pointers on how to build my blog. All in all it will make you more human and approachable because other bloggers will feel like they can reach out to you at any time. Find subject matter to blog about: Not sure what to blog about on any given day? Simply peruse your twitter updates and see what other people are talking about. This can be even more helpful if you're following people in your particular niche. 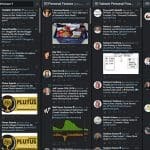 In my instance I follow probably over 600 personal finance bloggers, and get some great ideas for posts from checking out what they're all talking about. Research and feedback: Sometimes I'll need feedback for a story I'm writing. Twitter allows me to just ask my followers what they think about the subject. Often you'll get a large number of replies almost instantly, or within a few minutes. 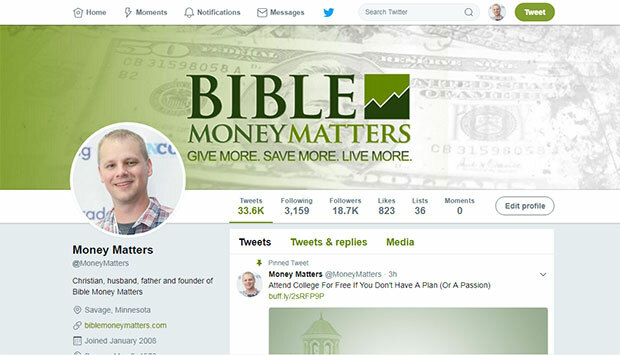 Use it as a mini-blog: I like to use Twitter as my secondary blog, complementary to my main blog here at Bible Money Matters. Sometimes you want to write something, but don't have enough to write out an entire post on the blog. When that happens, just write a quick blurb on twitter and you're good to go! Find new readers: You can use twitter to extend your audience and find new readers that you might not have otherwise connected with. As I mentioned previously, Twitter has become one of my top 10 sources of new traffic. Use it to link to favorite articles: I will sometimes use twitter to link to some of my favorite blog and news articles that I've read on a given day. Doing this makes your twitter account useful to others because you're linking to some good resources, and in turn makes your own blog more popular as well. So there are a few things you can do with your twitter account, and ways you can promote your site. What are some of your ideas? To get started sign up for an account at Twitter.com now, and start following me! Then follow my list of personal finance twitterbugs! Thanks for the great post Pete. I met you because of Twitter. God bless this website. Yeah! I’m a little late to get on board, but it’s pretty fun! I general I follow use twitter and plurk to augment my growth. I try to follow people who are posting stuff that will make me a better person, and I try to reciprocate that philosophy with my ramblings. For example I try to share interesting articles I am reading that I wouldn’t share on my blog. It is also a great place to help others and to get personal opinions on questions that you couldn’t easily ask a large audience in person. I do all this and notice when topics are of something I have written and I share the link. When talking about a Dinosaur show on History channel last nite I posted link to dinosaur book review and one for movies my son reviewed. What a coincidence. I just joined Twitter 2 days ago and wrote a post on it last night to publish tomorrow. Great post Pete. I’m slowly catching on to the best use of Twitter. Is there a way to search withing people’s user names? Say I wanted to find everyone with the word “money” in their user name. How could I do that? I’ve only just begun using twitter, but have already seen the benefits. It’s a lot of work establishing a presence, but definitely worth it! Thanks for the great info! Previous Post: Drive Free Cars And Retire Rich!